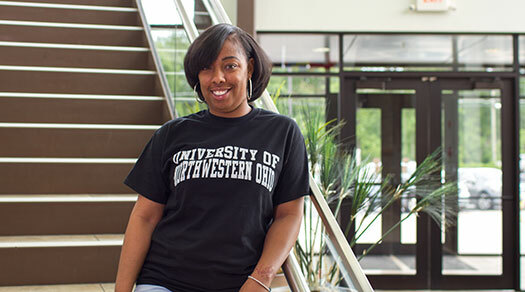 We are excited that your student chose to attend the University of Northwestern Ohio! As a parent or family member, you can be a positive contributor to his or her social, emotional, and academic development and success. Whether you are the parent of an incoming student or a student that has been attending for a couple of years, we encourage you to sign up to receive our Parent Newsletter which will contain information about UNOH happenings, important dates, student events, and resources to be your student's support system while he or she is enrolled at UNOH. To help parents and families of UNOH students stay involved and supportive of their UNOH student, we've compiled a list of the most-often discussed topics between parents and students. Take a glance for some helpful ideas and approaches to conversations. Show interest in the new experiences of your student. Listen closely and be supportive. Ask questions! Part of the college transition to adulthood is that your child will be making their own decisions. Sometimes these decisions will not be what you would have done, or expected. Ask questions and look for aspects that show your support of their new independence, rather than critiquing. When is your first exam? Have you tried using study groups for classes? If your student is also working, ask them how they are handling work and school together. Encourage communication between your student and their instructors and advisors. So much can be accomplished this way. Be flexible. Your student's plans may change from one quarter or session to the next. This is a normal part of most students' college experience. Your flexibility and support will help your student realize their goals without becoming overly frustrated. Be patient. College is a challenging time for students so allow them time to grow and mature with all the new experiences of college life. Stay in Touch. Whether it is a weekly phone call, email, or even a coffee visit if you live nearby, make a conscious plan to touch base at the same time each week. It will soon become something look forward to for both of you! Listen. Your son or daughter will be experiencing a new transition and encountering new ideas and possibilities. Some days they may want to call you about a problem they are experiencing. Be open to listening to your son and daughter and do everything in your power NOT to give advice unless they ask for it. You might be surprised that not offering makes them ask. Help Students Deal with Change. Students will not only be learning more about themselves, but they will meet different students who come from different backgrounds, religions and cultures. College is a time for students to experience new things and new people. Help your students by being a positive role model. They may have difficult questions for you in which they will want an answer. Let Go. Let go and watch how your student will grow into the adult you knew they would be! Letting go does not by any means show that you do not care. It shows your student that you trust them. More self-reliance -- Yes, for the most part, students are on their own. They set their own schedules, make their own decisions and decide their own choices. College brings less structure and guidance than they are used to. This is a good and important step in their personal growth because it encourages students to gain independence and become more self-reliant adults. Academic adjustment -- College academics, for most students, prove to be very different than high school. College demands problem-solving and critical-thinking that may be more demanding. Encourage your student to stay on top of coursework so that it is not as overwhelming when deadlines or exam dates come around. Stress -- Yes, college can be stressful. That's why students should know the resources they have available to them. Remind them the faculty, their roommates, fellow students and parents are all here to help them succeed. Allow them time to explore not only the campus, but Lima, Allen County, and surrounding areas. There are a lot of great things to do living here. Remind your student that it's important to focus on their academics as well as the new experiences of college. But they are the ones that have to find the right balance. Don't worry, they will. Encourage your student to maintain healthy habits like a healthy diet, exercise and sufficient sleep. There are dozens of groups, clubs and events on campus. Encourage your student to sign up, get involved and make new friends. Struggling in class? -- For the first time, many students are responsible for attending class, doing homework and keeping up with day-to-day projects. If they find themselves falling behind, concerned about grades or not understanding what's being discussed, encourage them to talk to the professor or instructor of the course. A problem might get resolved with a meeting or two. Or maybe they can form or join a study group, which is a popular way on campus to share ideas and study. Getting Your Student Involved -- Never before has your student been exposed to more opportunities than on a college campus. Whatever their interest, there is something to get involved in, join, or volunteer for. These out-of-the-classroom opportunities are not just fun, they can lead to improved communication and leadership skills and even personal career networks that will serve them long after graduation. 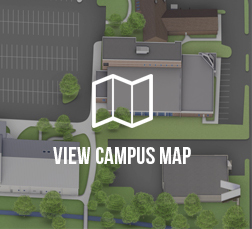 Click here for a list of Student Clubs and Organizations at UNOH.